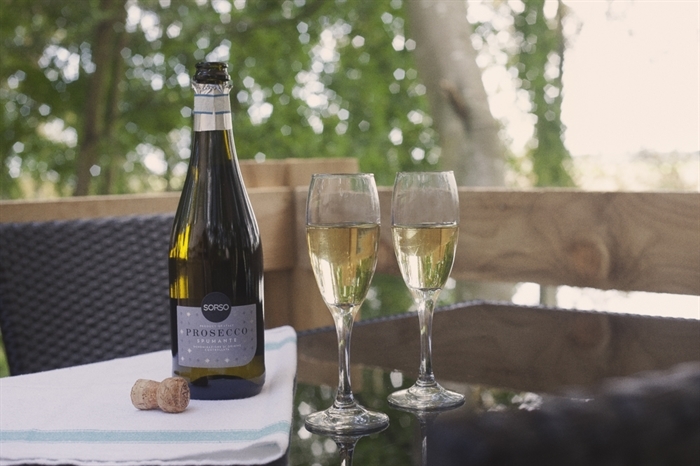 Located on the banks of the River Tweed, the luxurious canvas cottages feature hardwood floors, wooden furniture, a wood burning stove, en-suite bathroom, BBQ and much more. 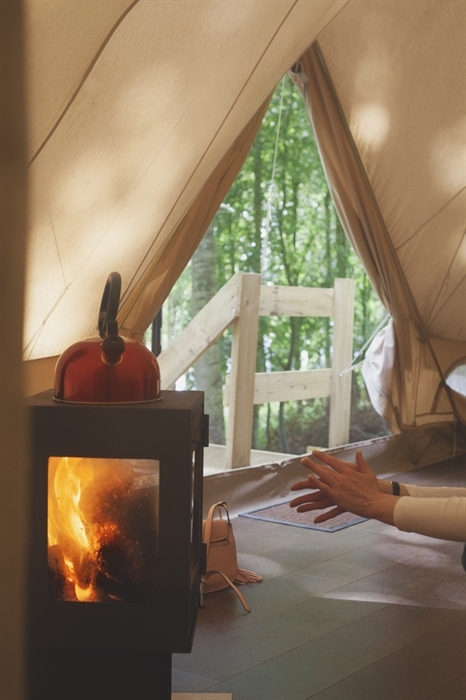 There are 4 luxury glamping units situated in the Paxton House estate overlooking the beautiful River Tweed. 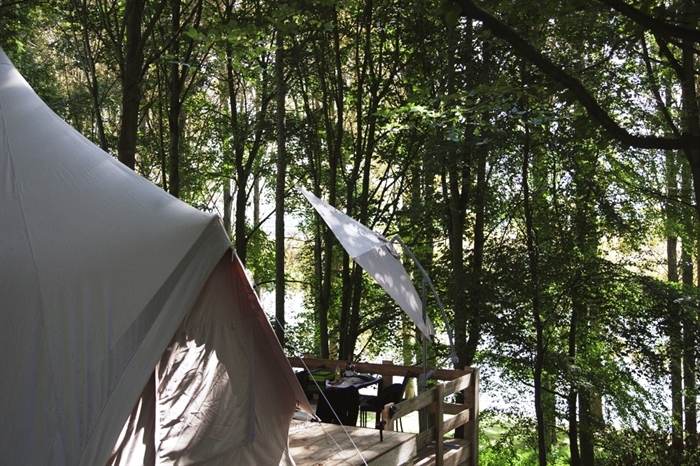 Glampotel combines the very best of camping under canvas, with the luxuries of a boutique hotel. 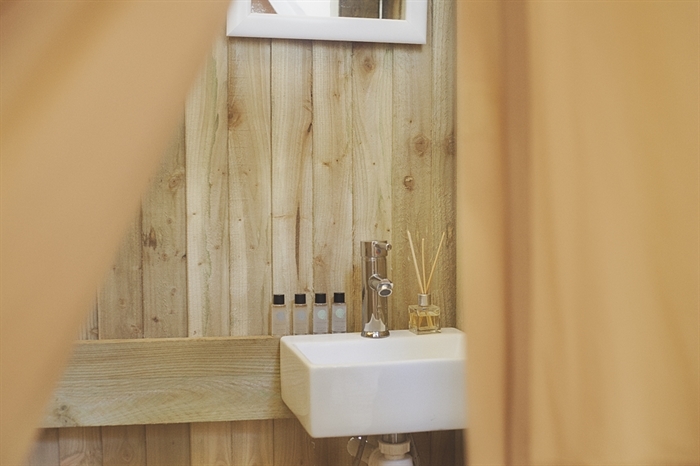 Each beautiful and romantic Glamping unit is like no other experience you have seen before. Features include hardwood floors, custom wooden furniture, a wood burning stove, cooking facilities, blanket chest, en-suite bathroom and much more. 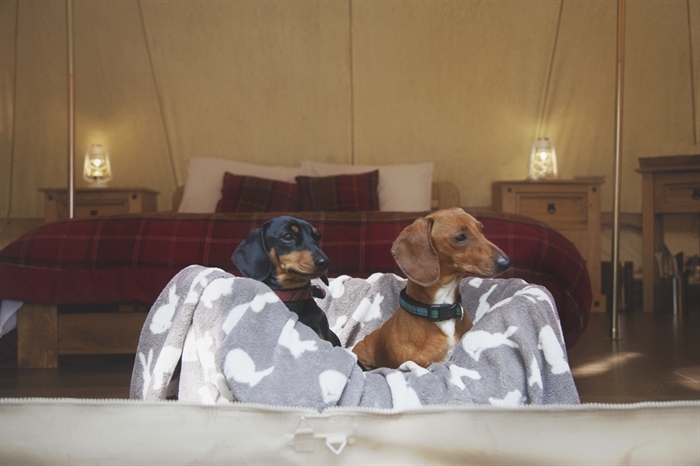 Paxton House welcomes children and dogs in the glamping units so it is perfect for all the family to enjoy. 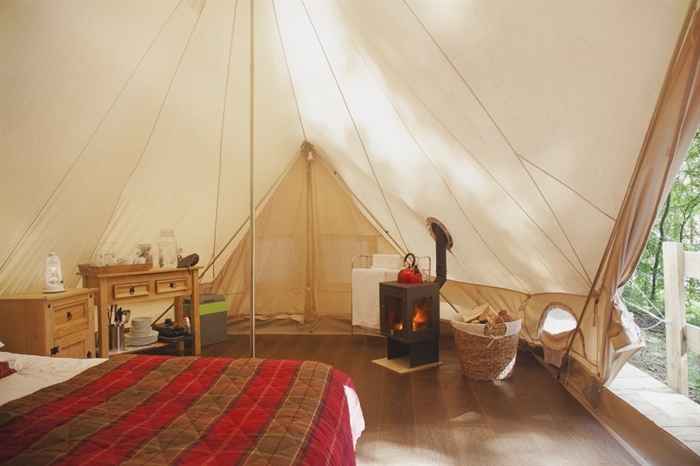 Glampotel provide the ultimate luxury camping experience…. Instant hot water shower, hot and cold running water, eco-friendly toilet. Luxurious fluffy white bath and hand towels, Egyptian cotton sheets and hypo-allergenic duvet. Biodegradable toiletries to enjoy during your stay. Gas powered BBQ, patio heater and a bistro dining set. Large parasol and solar lights to use the deck all day and night, along with many throw blankets so you can snuggle up on those colder nights. Free parking is available at the Glampotel car park, just a minutes walk from your canvas cottage. Kitchenette to prepare and eat a delicious outdoor meal, including pots and pans, utensils, glasses, crockery and cutlery for the whole family, and of course a kettle for making a fresh cup of tea or coffee. Solar power for light and sufficient USB outlets to charge your electronic devices.